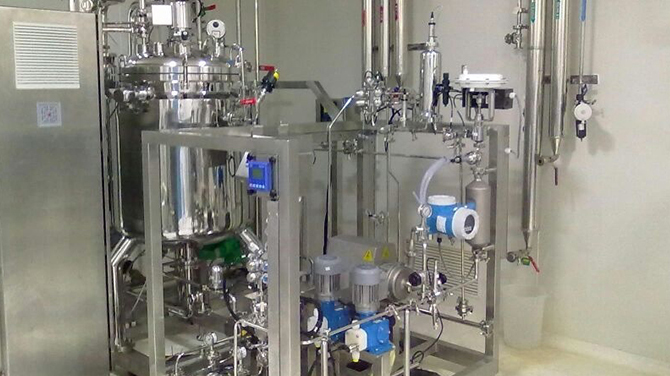 Nilsan has wide-ranging experience in designing, manufacturing and customizing in-line buffer dilution systems for very specific and critical needs of the pharma and biopharma industry. Our technology is based on using the most accurate mass flow and conductivity measuring devices and a specific control system to reach the highest reproducibility. These systems drastically reduce the volume and size of buffer tanks in biopharma manufacturing plants. Our in-line buffer dilution systems include advanced, PAT (Process Analytical Technologies guidelines of the FDA) compliant features.